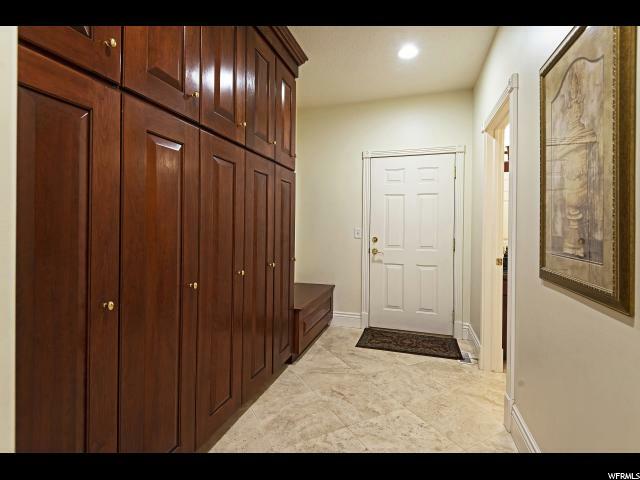 What a RARE FIND! 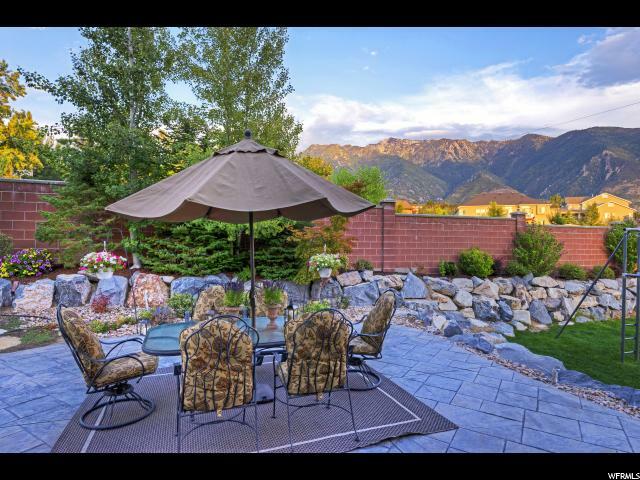 Why go to the mountains when they are practically in your back yard! 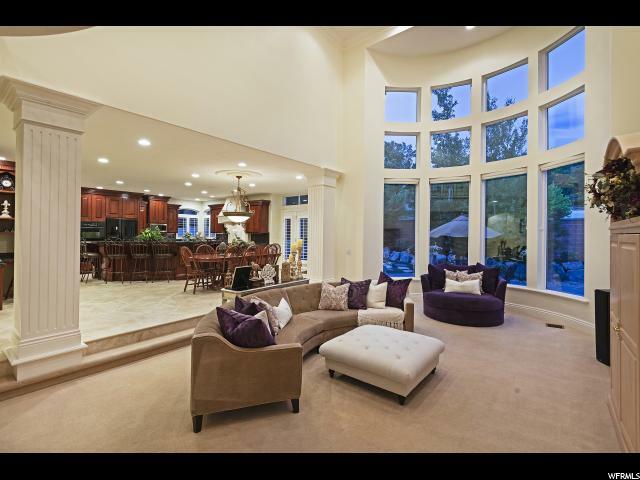 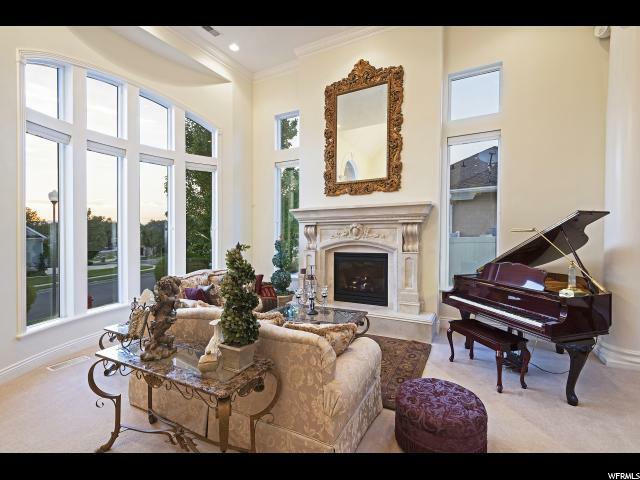 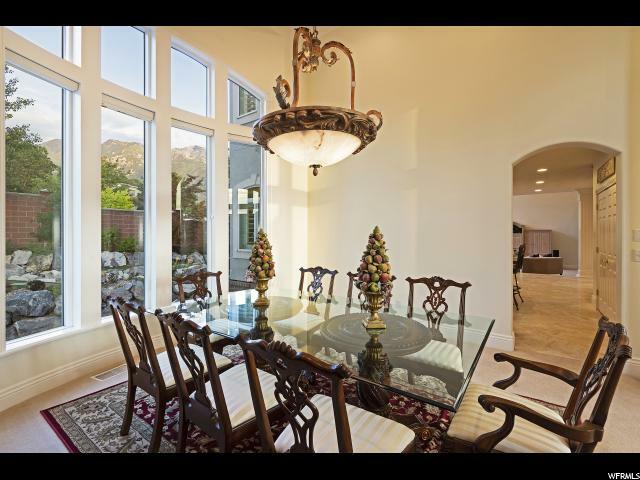 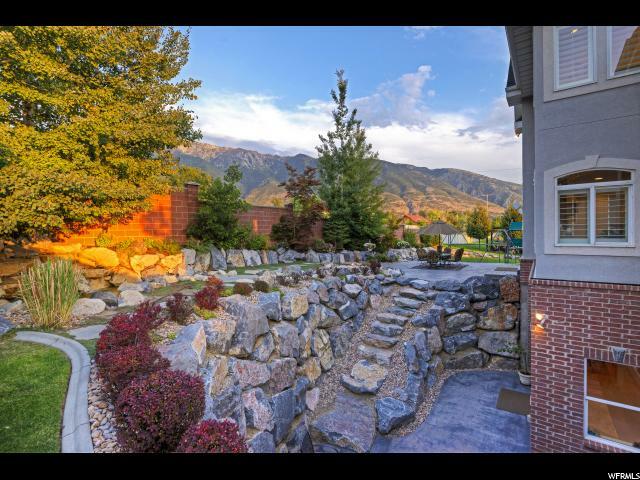 One of a kind custom designed home on a quiet cul-de-sac with huge picturesque windows throughout the home with unobstructed mountain views. 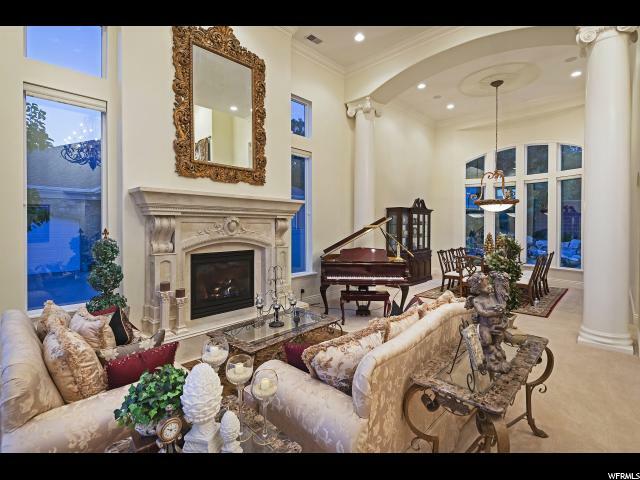 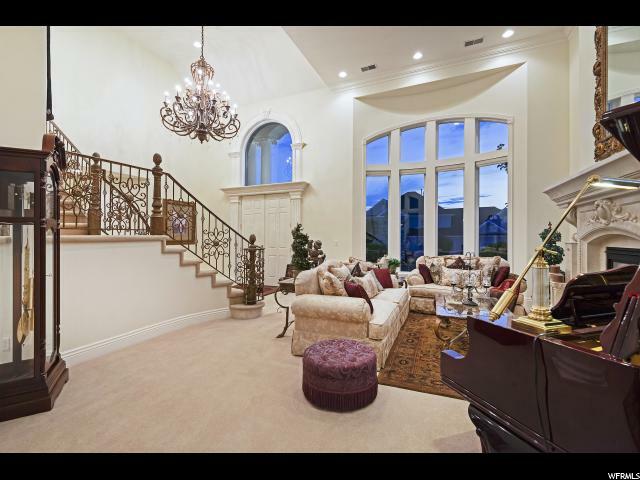 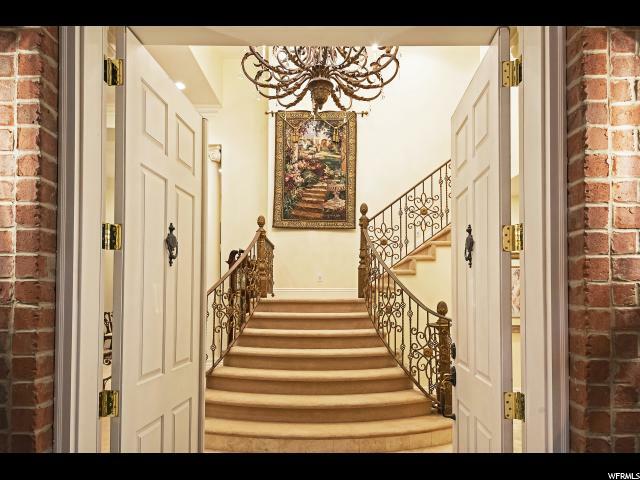 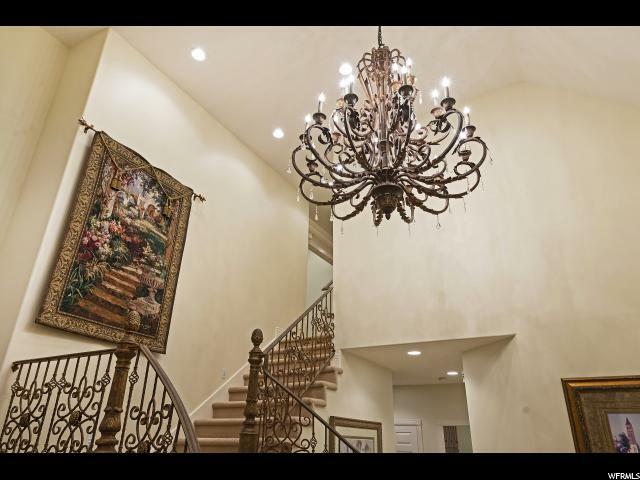 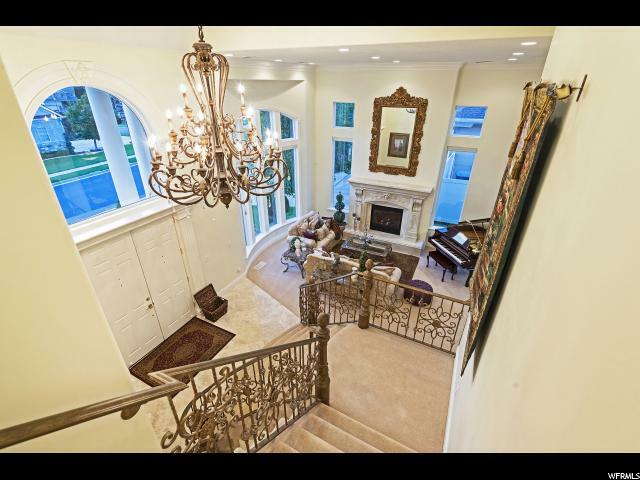 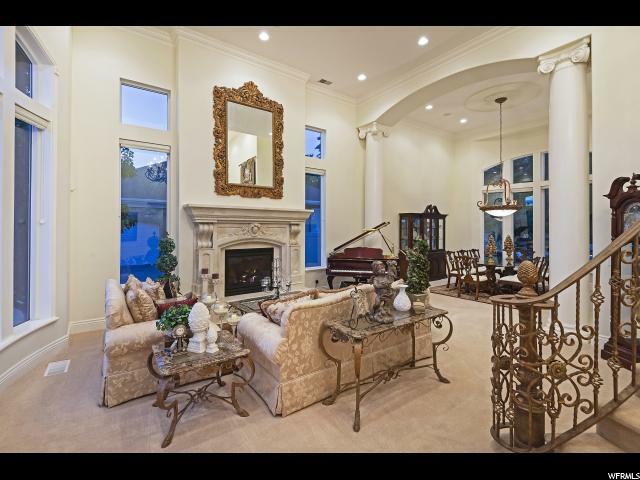 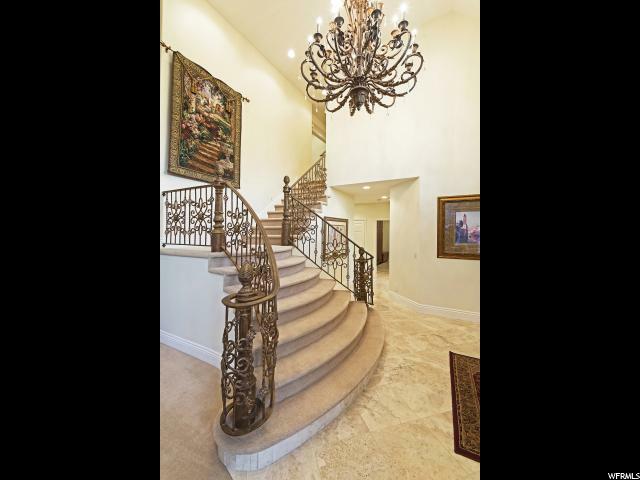 Stunning grand entry with custom wrought iron banister and railings, soaring ceilings throughout with ceiling medallions around each chandelier and an impressive custom wrought iron entryway chandelier. 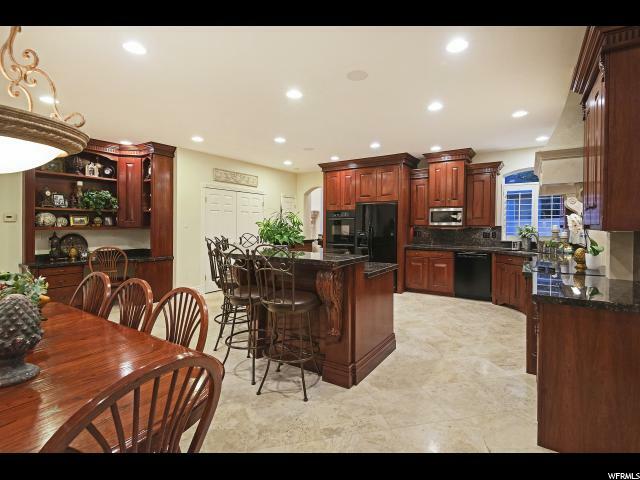 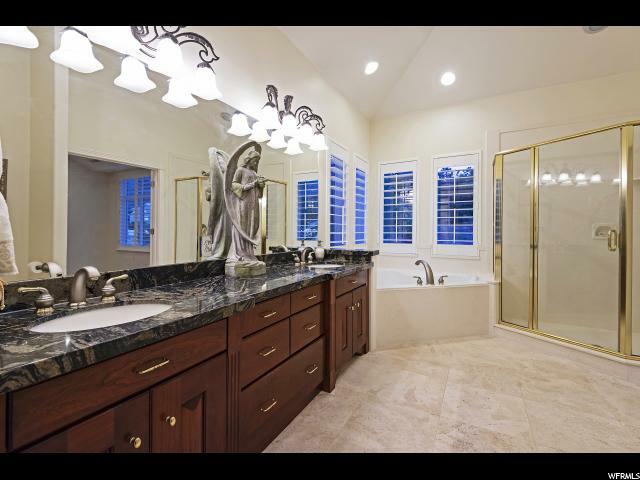 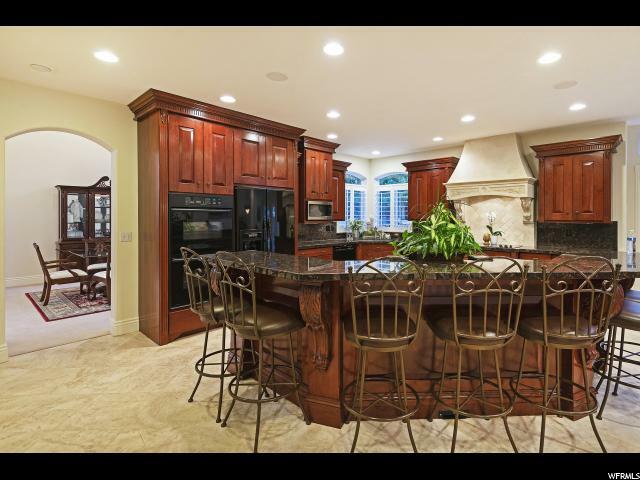 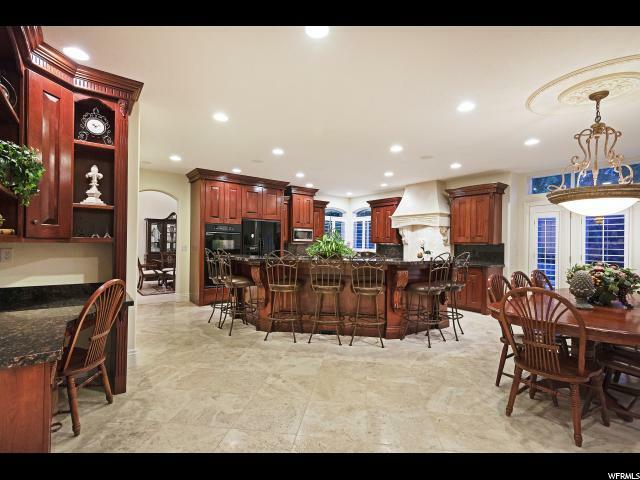 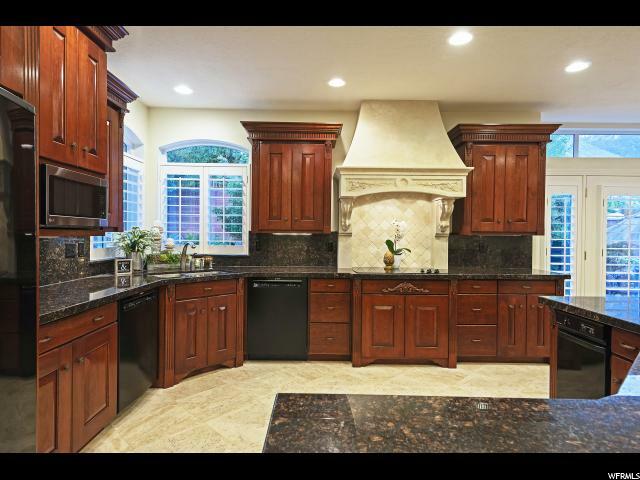 High-end finishes throughout including large crown molding, custom cabinetry with dental molding and carved counter pedestals, gorgeous chef's kitchen with premier appliances, stone range hood and backsplash, granite counters throughout, double ovens and two Bosch dishwashers. 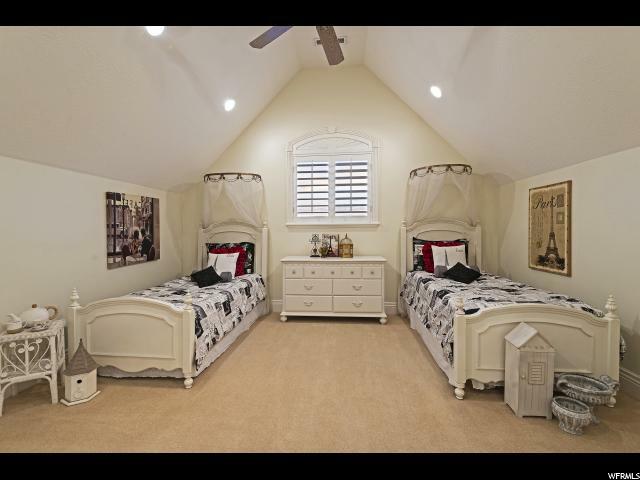 Luxurious master retreat with vaulted ceilings, oversized windows, sitting area and a spacious walk-in closet. 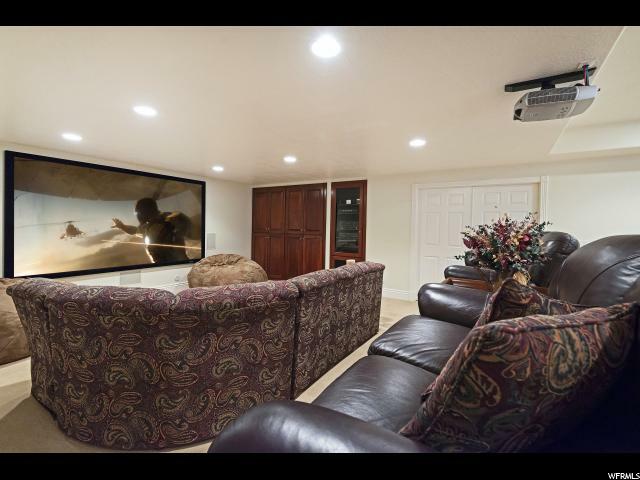 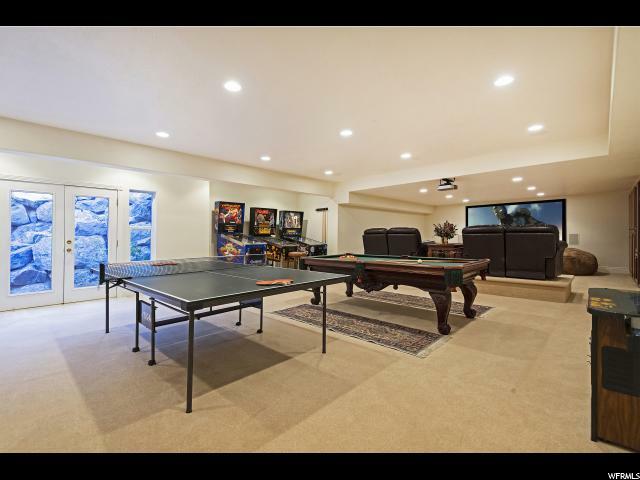 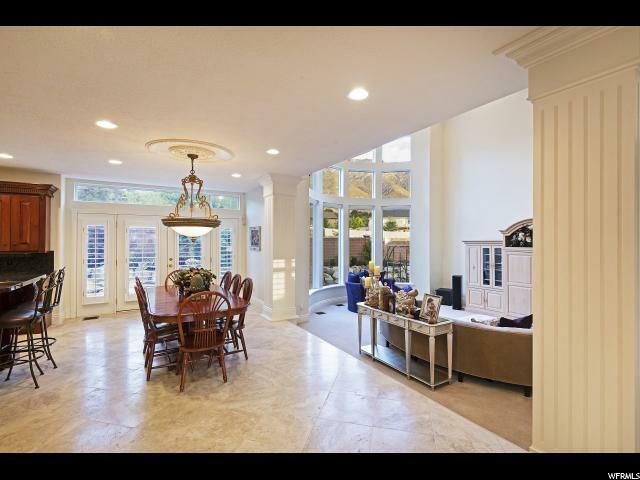 Walk out lower level with a rec and theater room with stadium seating...perfect for entertaining! 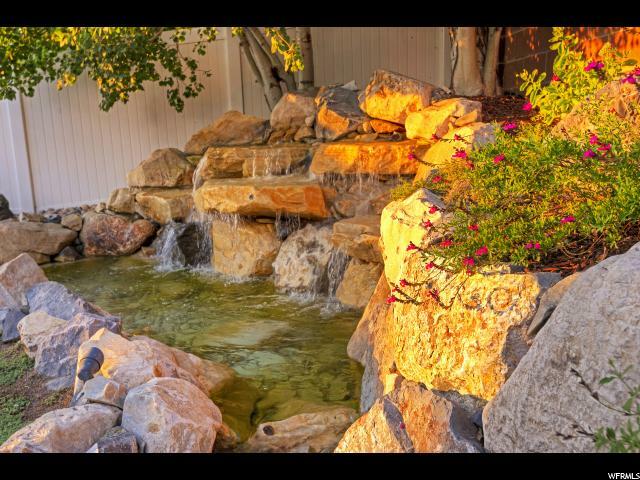 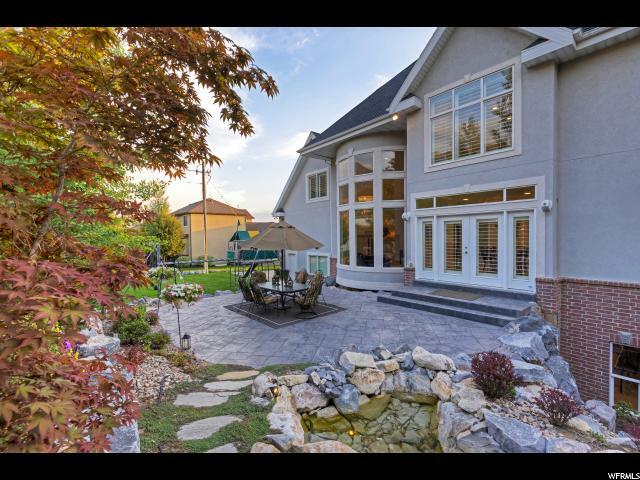 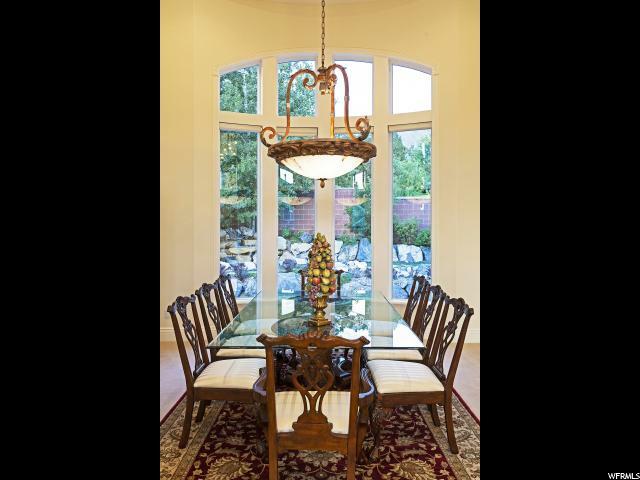 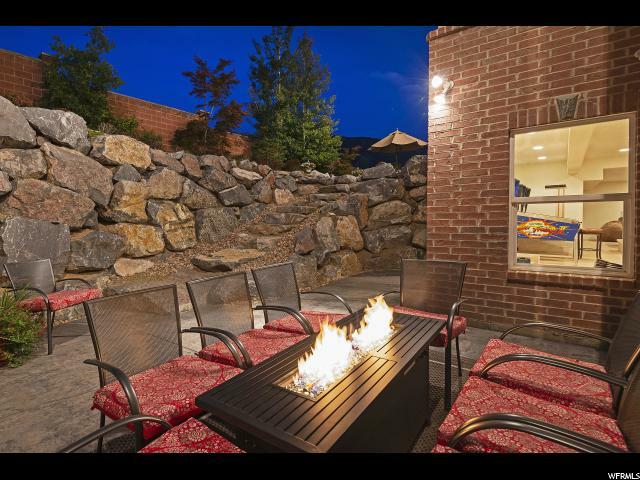 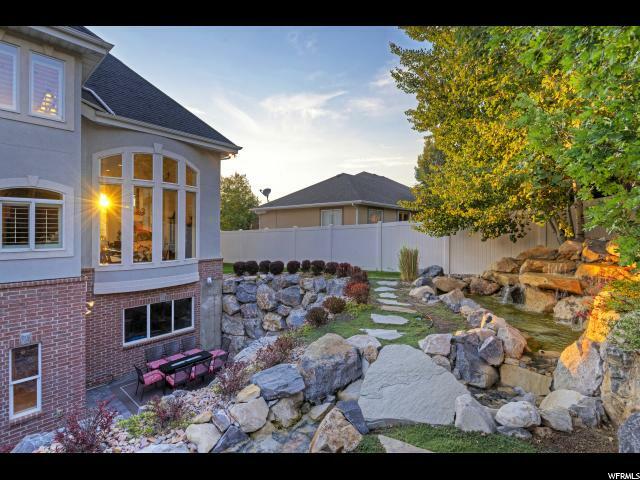 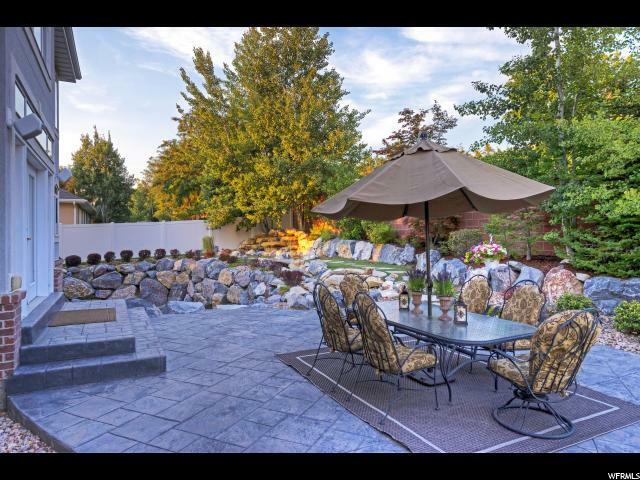 East facing professionally landscaped backyard with mountain pines and a tranquil waterfall, stream and pond. 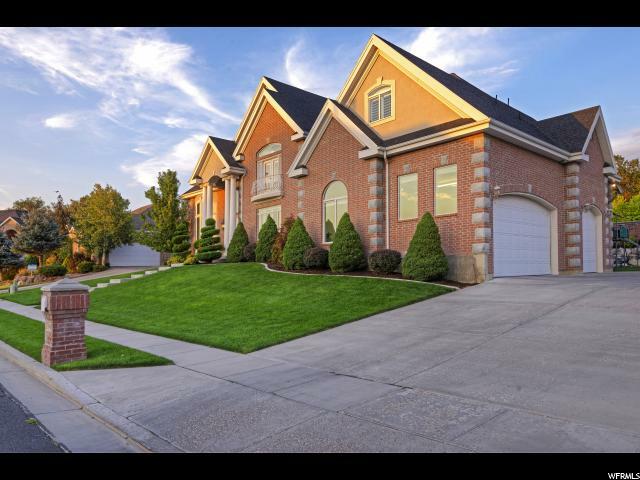 Oversized 3.5 car garage with space for a workshop or your toys. 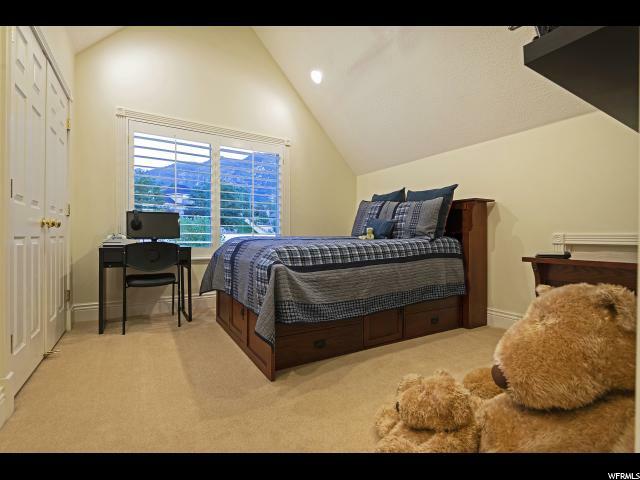 Incredible location close to ski resorts, outdoor recreation, hiking trails, shopping and entertainment. 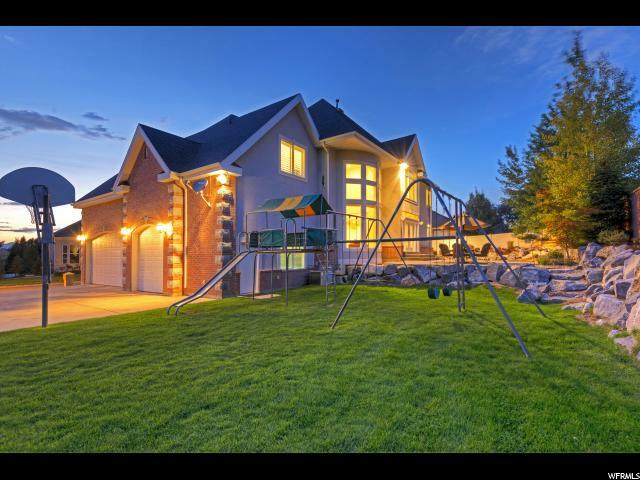 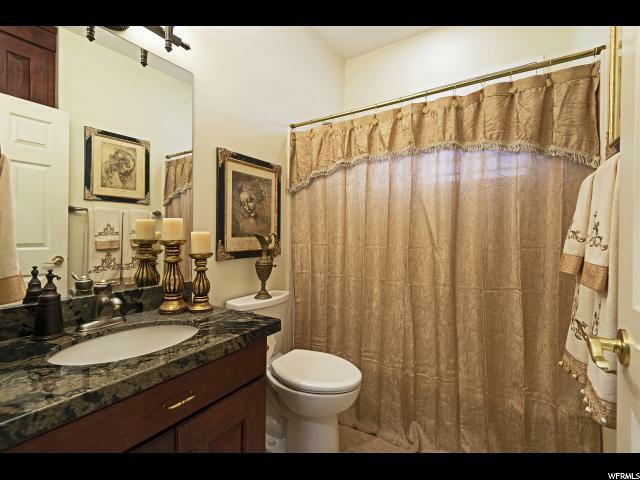 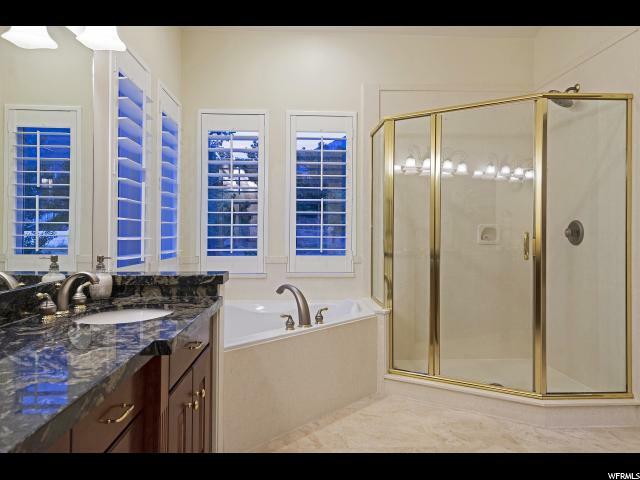 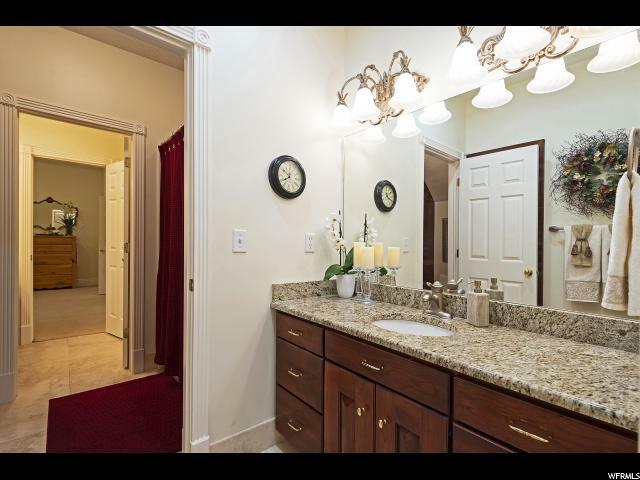 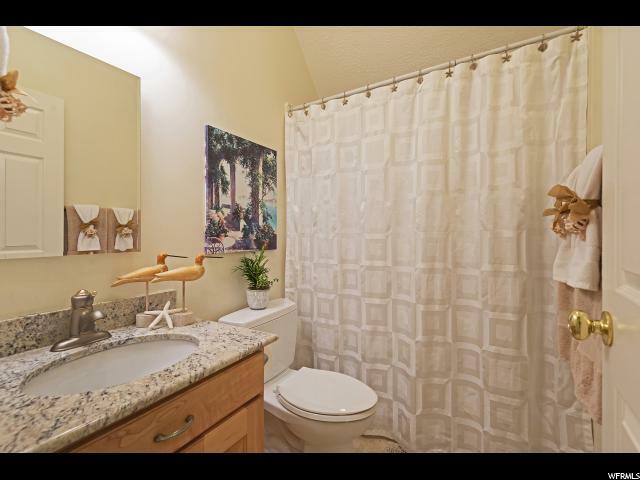 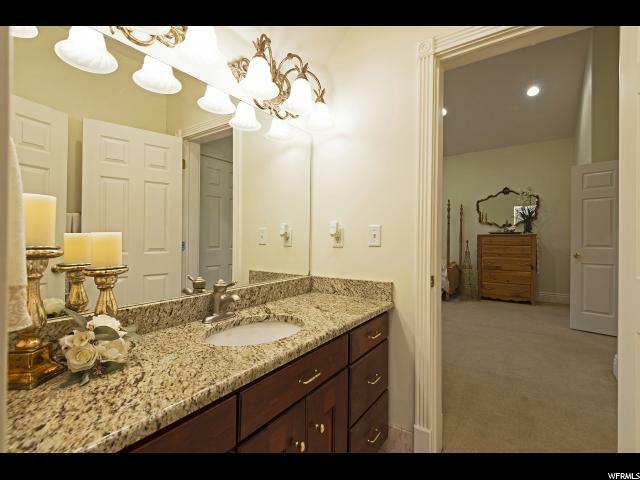 There's so much more to this home....call for a private showing! 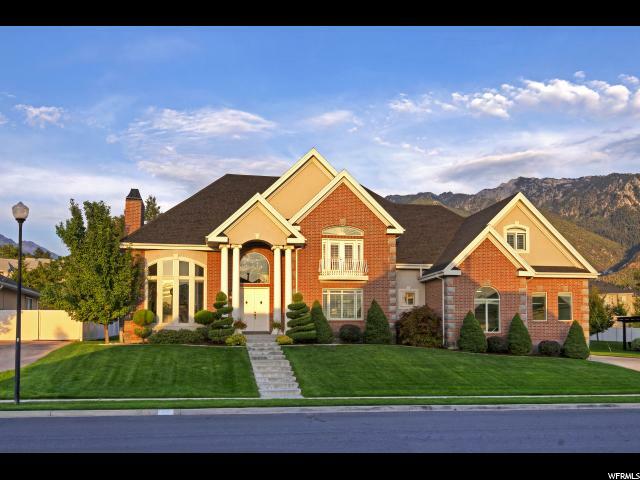 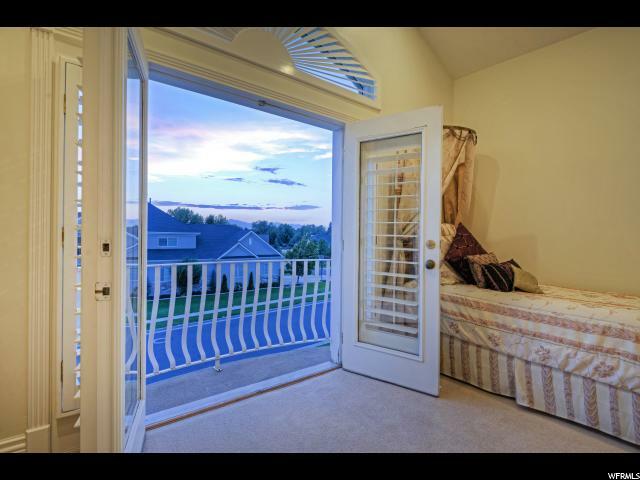 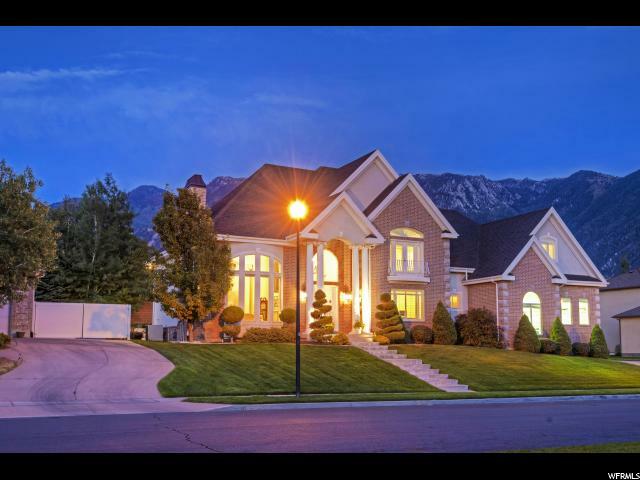 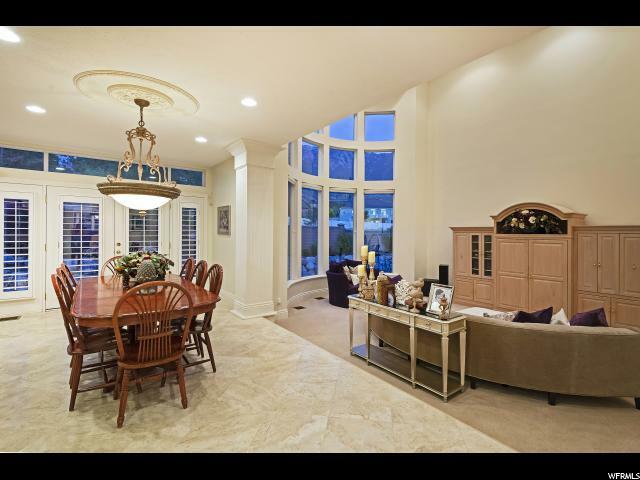 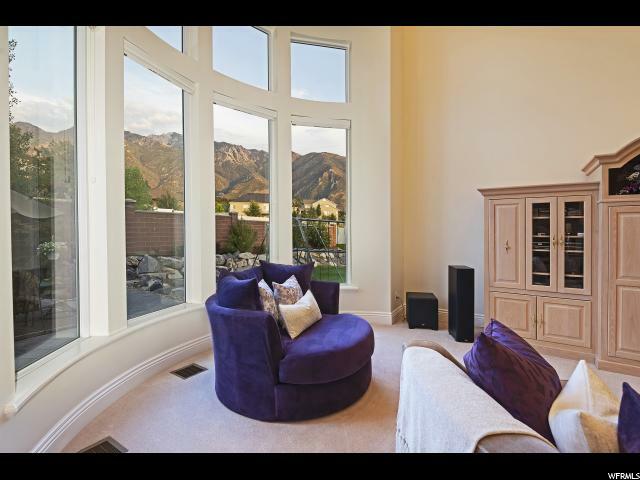 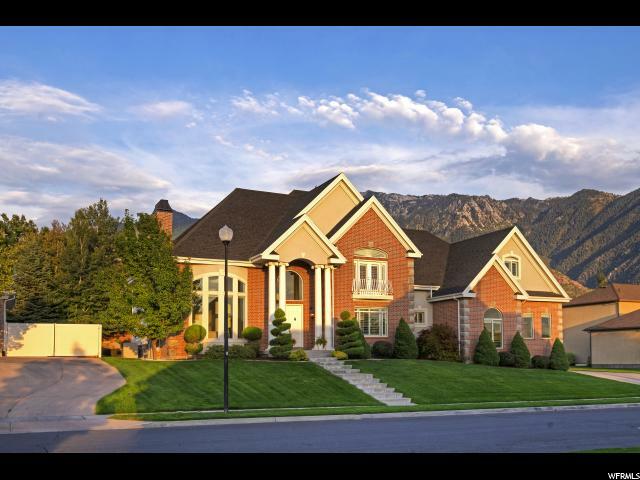 I would like more information regarding the property at 11045 S TALL PINES WAY, Sandy UT 84092 - (MLS #1557676).